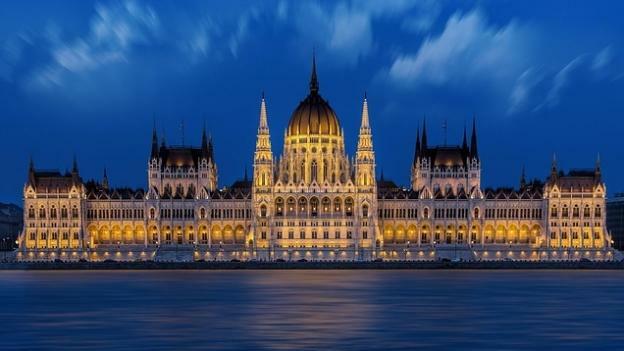 Budapest, the capital of Hungary, is better known as the “Paris of the East” for its fascinating monuments, ancient buildings and historic cafés. To better benefit from its unique atmosphere, many visitors decide to book a high ceiling apartment in an ancient building of the historic centre of Budapest. It’s an old practice, safe and cheap. Budapest is composed of 2 parts: BUDA, hilly, calm and ancient (a desert after 5 p.m.) and PEST, modern, frenetic, full of life, best restaurants, cafés and amusements (the ideal place to stay during your holidays). The two cities are divided by the river Danube. Budapest is for sure one of the most beautiful cities in the world. 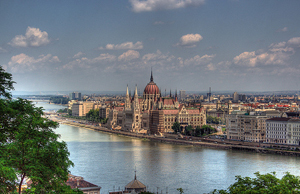 Lonely Planet customers have located Budapest is the 33rd place beneath the most beautiful cities in the world. I have decide to put together all these important attractions of Budapest, as they are all located in the same area. You can reach this part of Budapest taking a dedicated bus from Deak Ter. This part of Budapest offers also a panoramic view of the Danube, Budapest bridges and over Pest. The Parliament is in Pest side. The Parliament organizes free guides for European citizens. I suggest to go very early in the morning at the Parliament to have your visit. Limited number of visitors. in pest side. Do not forget to view the ancient reliquary (the right hand) of the Saint. 8 road bridges and 2 railway bridges cross the Danube, making BUDA and Pest a unique city: BUDAPEST. The bridges in the city-centre are Margaret (Margit), Chain (Lánc), Elizabeth (Erzsébet), and Liberty (Szabadság) Bridge. The synagogue in Dohány utca is the largest Synagogue in Continental Europe. The best Thermal Baths in Budapest are Széchenyi Baths: the largest Baths in Budapest. Its medicinal waters are effective for joint and muscle damages, arthritis and neuritis treatments. Here men and women can have their bath together. Unique the experience of having a bath at open air during winter, better with snow falling! Other important Thermal Baths are: Gellert and Rudas. for its beauty, Andrássy Avenue has been declared Humanity Patrimony from Unesco. Do not forget to walk along this avenue, admiring its ancient and elegant buildings. You can visit the Opera with dedicated tours organized by the Opera itself, but if you have the possibility of participating in a classical concert or opera, the Opera House will appear in ll its beauty. It’s a big place out of Budapest with about 40 big statues from the communism period. You can reach this place buy public busses, but I suggest to use the dedicated bus from Deak Ter as you can waist a lot of time with public transportations. Vaci Utca is the famous pedestrian street of the centre of Budapest. It goes from Vorosmarty Ter to the Big Cover Market. More or less, all the districts of Budapest have there own coven market. But, for sure, the biggest and most famous market is the Big Coven Market, in Fovam Ter. Here, you can buy fresh fruits and vegetables, hot bread, meat and cheese, cheap cooked food and cheap souvenirs. Close on Sundays. Stefano Vailati the author of the “Top 10 attractions in Budapest” is a world traveller and the owner of some really cozy apartments in Budapest city centre, he rents directly for short-term periods from his own website: www.dunaflat.com. Prices from euro 40 / day / apartment.